The following is a list of windsurfing sites that I know or have been reported to me which are within a reasonable drive. If you can share any other windsurfing locations, or have any corrections/additions/warnings to the information below, please let me know and I will make the necessary changes. This site is located directly adjacent to the beach at Britannia Bay. Parking is available next to Lakeside Gardens. A relatively sheltered grassy rigging area is available next to the parking lot. I have read comments in the past about cars being broken into, so take care with your valuables. an underwater shoal that is west of the launch site towards Nepean Sailing Club . Many a fin has been lost because of this. a group of rocks on the east side of Britannia Bay, near the Britannia Yacht club . Sometimes is it marked with a small floating ball, but be careful. dead-heads and floating logs are more frequent in the spring/fall, but keep an eye out. I have lost a fin and fin-box becuase of one. down river of the launch site is rapids. During the spring, the current is much faster and could pose problems if you have equipment problems. Take the Queensway and head North on Pinecrest. Cross Carling avenue and follow the road until you reach the parking lot on the west side of Lakeside Gardens. On-shore conditions are mostly West to Northwest winds, although other directions are good so long as the winds are not off-shore. Can anyone provide details for this site?? This site is located at Aylmer beach, which is east of the Aylmer marina . Parking is a bit limited, but when the wind is blowing, there is usually not alot of beach goers anyways. A nice grassy rigging area is available next to the parking area. In the summer there is quite a bit of weeds, so bring your weed fin! The walk from the rigging area near the parking lot to the water is significantly shorter than Britannia. dead-heads and floating logs are more frequent in the spring/fall, but keep an eye out. I have lost a fin and fin-box because of one. stay away from Aylmer Island (south-west of launch area) as there are some big rocks in the area which will eat your fin in an instant, not to mention you or your board! Cross on Champlain bridge and at the T(not at the X on LUCERNE) you can take a left on Aylmer street. Continue straight a couple of miles into downtown Aylmer until you see the river and take a right on Front Street. Then take a left just after "La Brasserie du Lac" (old tavern)...or the left after the small store at the 4 way stop. Continue straight and you will see the beach which will hopefully be full of people looping, blasting and crashing!! Winds from South to North West. North-west is awesome but you have to slowly pass a 100 meter wind shadow from the point. On-shore conditions are mostly South to SouthWest. I have not sailed here but what I have been told is that this spot is near? where the Gatineau river meets to the Ottawa River. Some locals who have sailed there say it is an excellent spot for North East winds. For other directions you are best to choose on of the other launch sites listed here. The water access is so-so, there is some "garbage" there but it is easy to get around it. Anything else to watch out for ?? 1km and it will be on your right. There is a big white house across the road. private area though but we are aloud to trespass (at least, we used to...). " This spot has been reported to be ideal for East to North-East. This site is located not to far from the Lake Deschenes Sailing Club . The "parking lot" is a gravel area next to the water. Beside this area is a grassy area for rigging. The area is quite rocky, which can be hard on feet/equipment. In the summer there is quite a bit of weeds, so bring your weed fin! This area is quite popular as a fishing spot, so watch out for boats trolling in the water, since they will have fishing lines going quite far back behind their boat. There is rock bar (like a sand bar) that runs parallel to the "beach", make sure to launch down from the beach. It stops about five or ten meters down from the parking lot. There is also at least one other rock a little further out and west of the rock bar. Take the Queensway and head North on Moodie Drive past Nortel until you hit Carling Avenue. Turn left on Carling (West) and continue until you reach Range road. Turn right on Range road and keep going straight until you hit the gravel parking lot. On-shore conditions are mostly Northeast ?, although other directions are good so long as the winds are not off-shore. For details regarding launch sites in the Kingston area, please refer to the Kingston Boardsailing Association website. They are approximately a 2-hour drive from Ottawa. For details regarding launch sites, please refer to the Extreme Windsports website. They are approximately a 3-hour?? drive from Ottawa. This is not a very popular destination (even though it has great conditions!) so you unless you go with someone, you will probably be out alone. Due to the size of the lake, you will not see that many boats on the water (especially early spring, late fall) so take the necessary precautions. The water level fluctuates dramatically (Hydro Quebec uses the water for power generation) and can drop 6-10 feet! There is one rock island to the North of the spit that I have seen when the water is low and I believe it is marked when the water is high. I would suggest not to go very close to shore at a high rate of speed in case there are others! These are from memory; please call the resort (phone number listed on the above website) to confirm or check a map. In Quebec, take Highway 5 until the end (when it turns into Highway 105 North). Take Highway 105 until the *very* end (you will pass through/by Wakefield, Gracefield, Maniwaki). Once you reach the end of Highway 105, turn right on Highway 117 (Mont Laurier). Continue until you reach Baskatong Road; turn left. 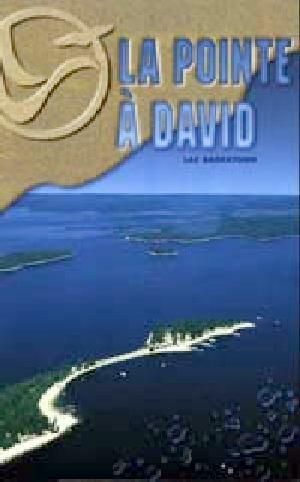 Follow this road until the end, which will be on the sand spit called Pointe a David. It takes roughly 3 hours from Ottawa, depending on traffic. The whole point is basically a sandy beach. Its orientation makes its West shore a very good spot when the wind blows from the North-East. Conditions are also quite interesting by South-Westerly winds even if it makes for pretty flat water. Copyright © 1998 Ottawa Windsurfing. All rights reserved.